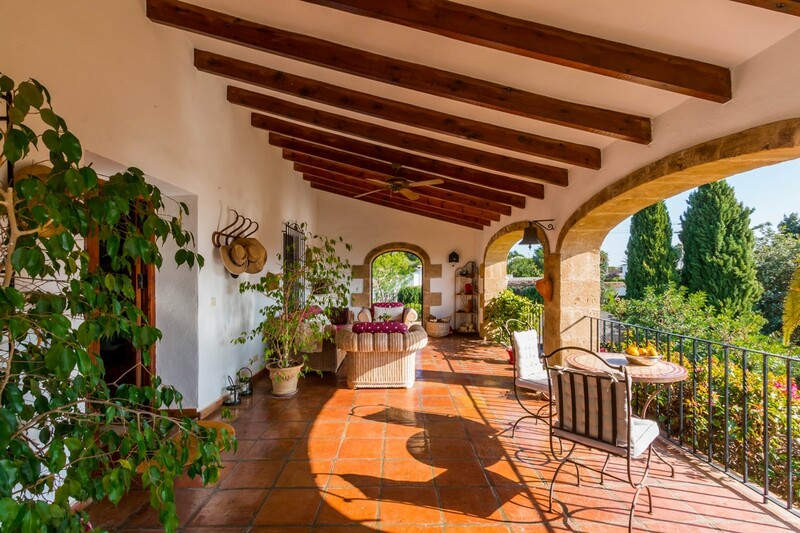 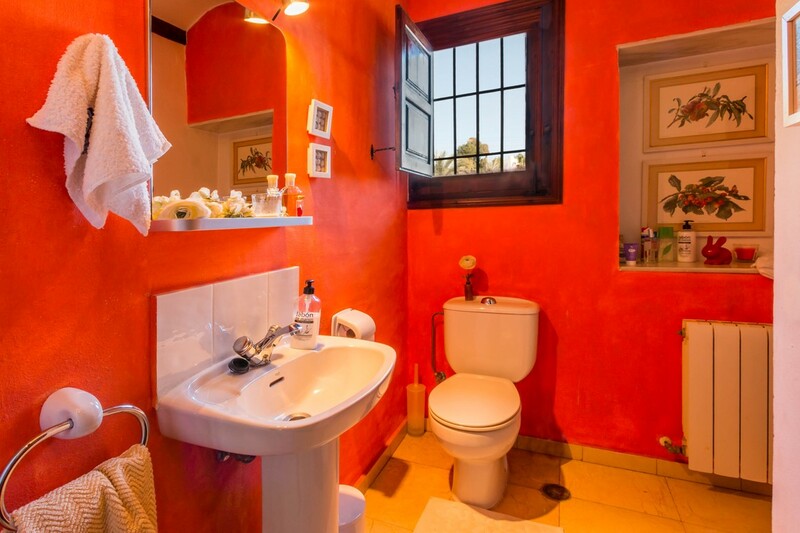 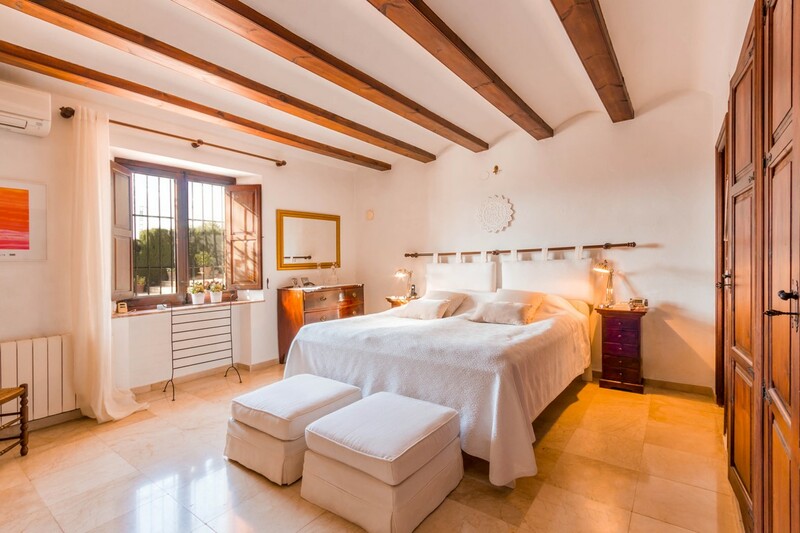 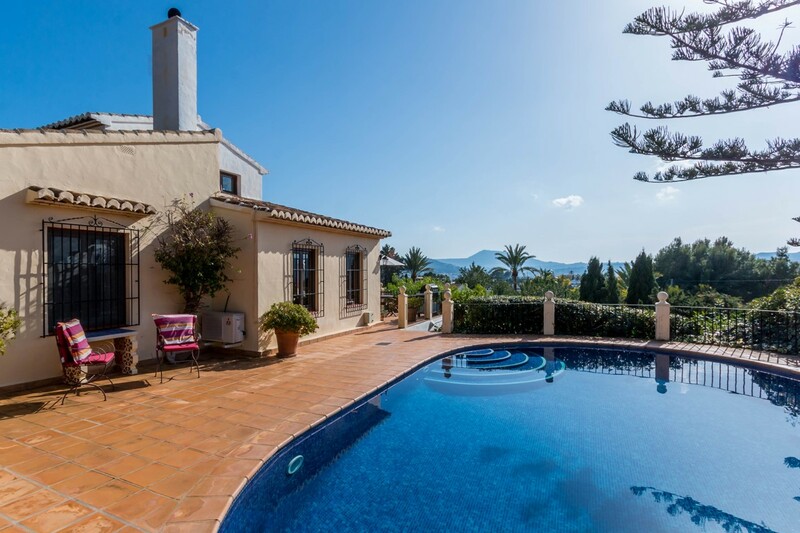 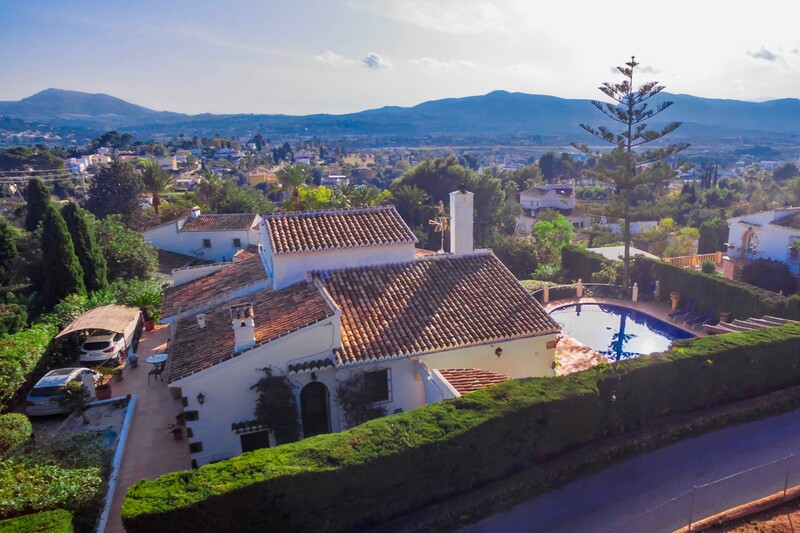 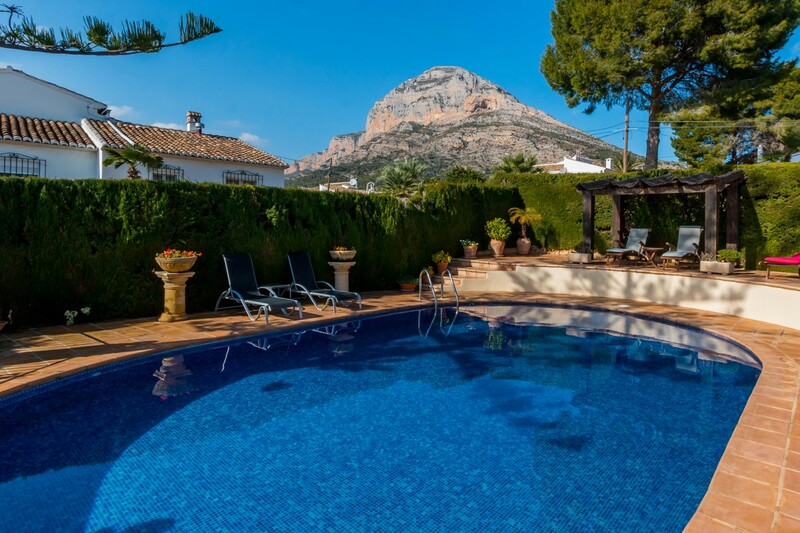 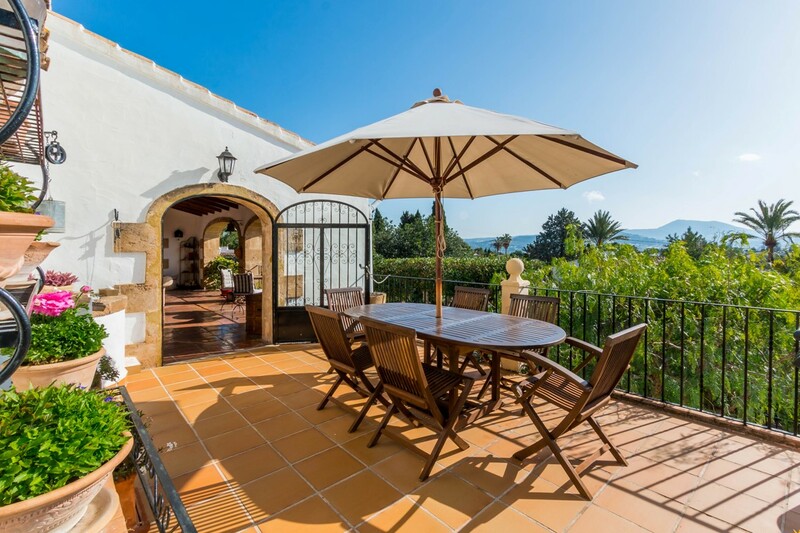 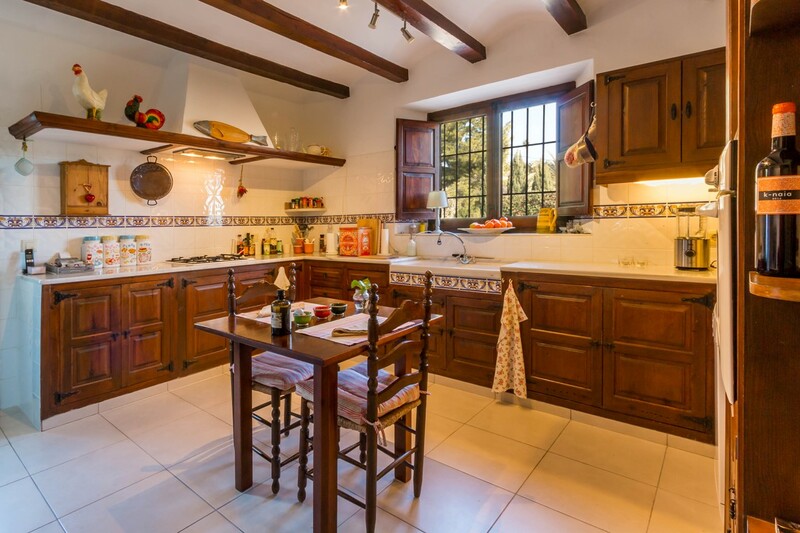 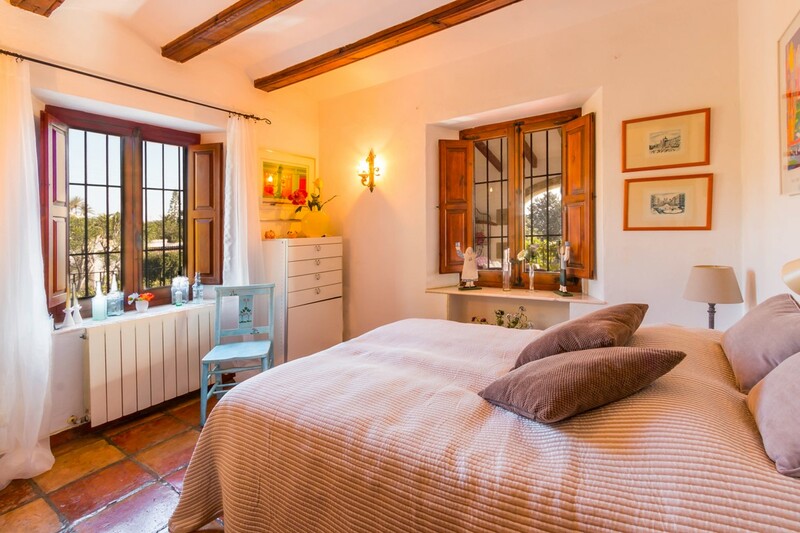 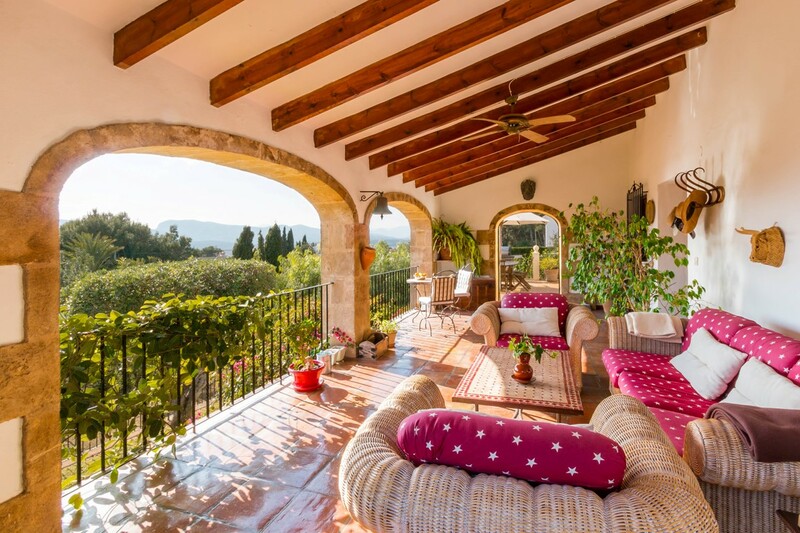 For Sale: Situated a close distance from the Old town of Jávea, this beautiful 4 double bedroom finca style property is presented in lovely condition. 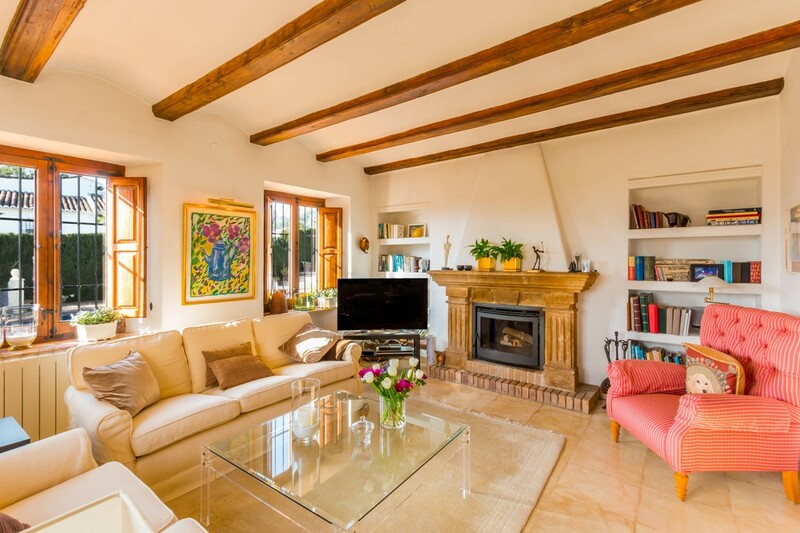 The tranquil location is ideal for those seeking peace and quiet, with the advantage of being with close proximity to amenities. 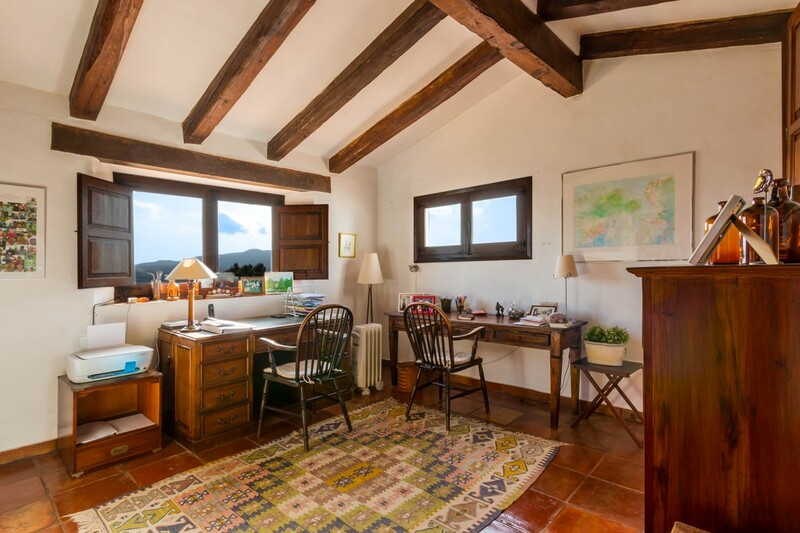 The fourth bedroom is currently used as a generous sized studio / office. 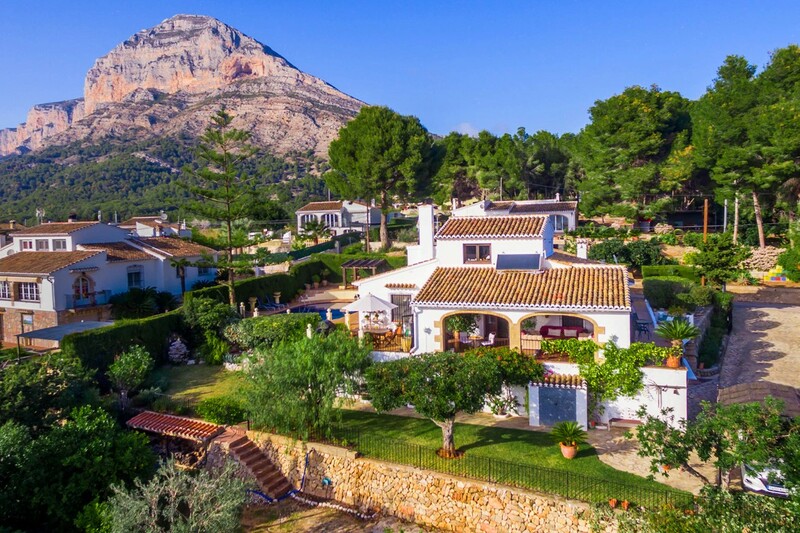 The villa boasts pretty, open views to the south with the impressive Montgo mountain as its backdrop. 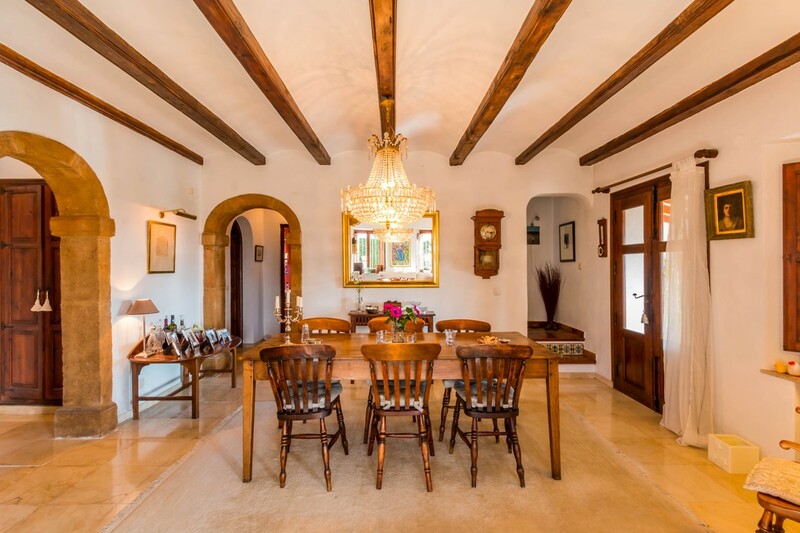 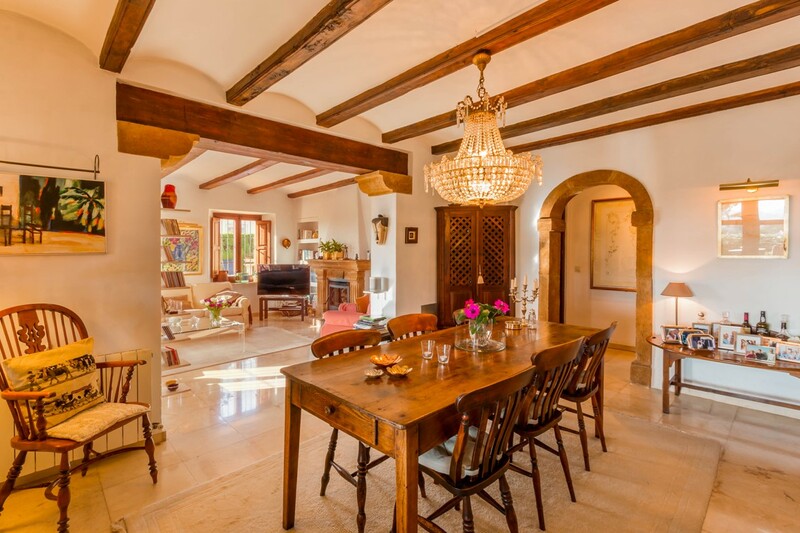 Featuring the original flooring that dates back over 50 years plus many more gorgeous features such as Tosca stone arches and accents, plus barrel and beamed ceilings, the property has been lovingly maintained over the years. 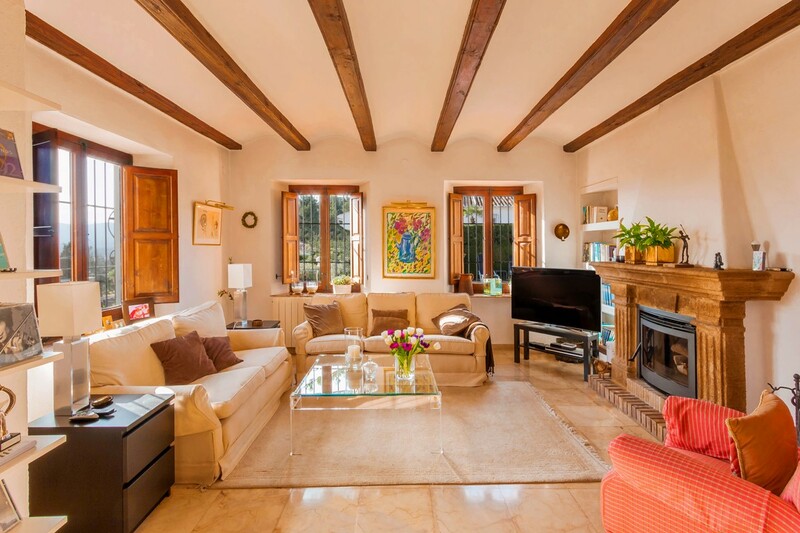 The ample lounge / diner leads to the good sized naya (covered terrace) with the large master suite and one guest bedroom on the same level. 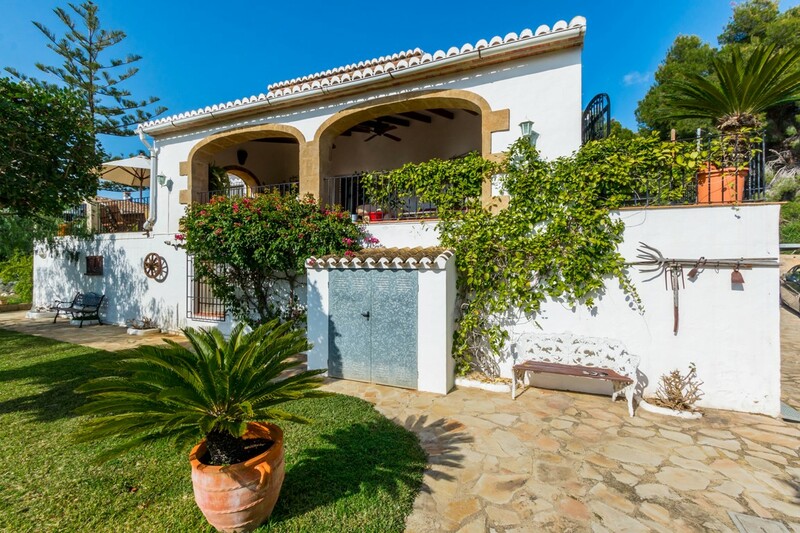 On the lower level there is the garage with internal access plus another guest bedroom and bathroom with the studio / office on the second floor. 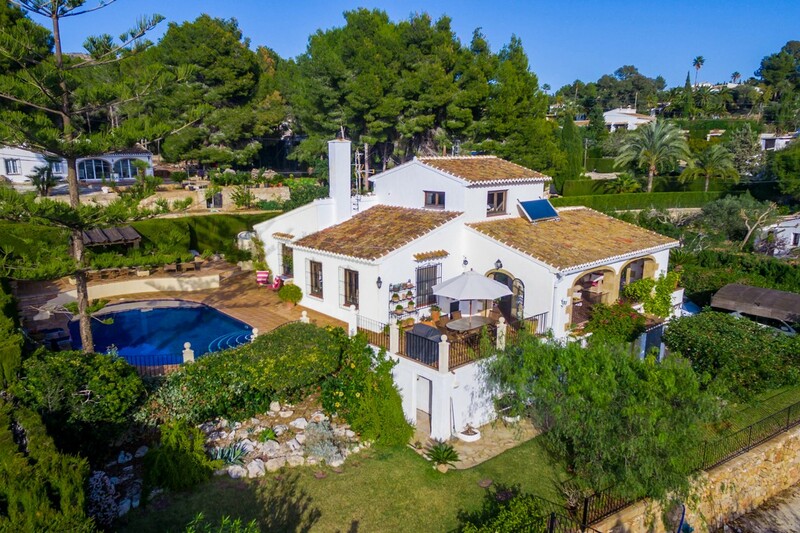 The garden is the typical Mediterranean style featuring various fruit trees and traditional plants and palms, while there is also a small lawned area and lovely pool terrace on the west side. 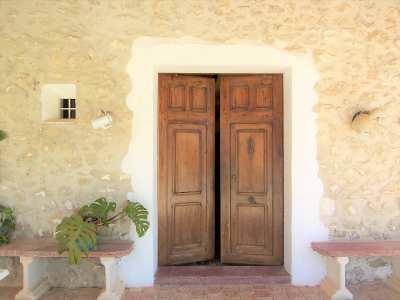 This finca really is great value and has to be seen to be truly appreciated.